Gottlieb System 80 Pinball Machines Parts. Rottendog Gottlieb System 80 Pop Bumper Board (Works for all games listed above). Price includes 48 state shipping. 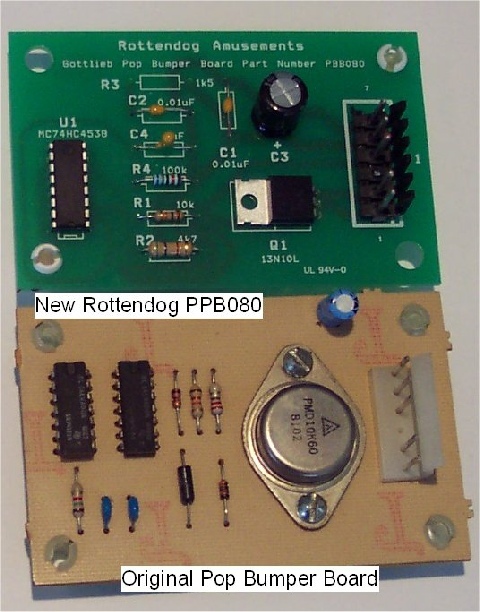 PBB080 is an aftermarket, completely redesigned, direct plug in replacement for the original Gottlieb System 80 Pop Bumper Board. $22 - Includes 48 State USA Shipping.